THE BOOK OF MORMON, winner of nine 2011 Tony Awards including Best Musical, has broken the house records in three different cities for the week ending December 30, 2012. On Broadway, THE BOOK OF MORMON broke the house record at the Eugene O’Neill Theatre (230 West 49th Street) for the 43rd time, grossing $2,158,595. The First National Tour of THE BOOK OF MORMON in its final week at the Curran Theatre in San Francisco, broke the house record for the 2nd time, grossing $1,607,677. The production began performances last night at the Keller Auditorium in Portland, OR, and continues on to Seattle, Des Moines, Minneapolis, St. Louis, Rochester, Detroit, Pittsburgh, Boston, Toronto, Cleveland and Washington, DC. The Second National Tour of THE BOOK OF MORMON, which opened in Chicago on December 19 to rave reviews, set the house record for the 2nd time, grossing $1,645,201 at the Bank of America Theatre (19 West Monroe Street). 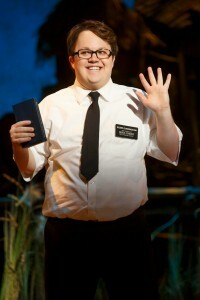 For more information about tickets for THE BOOK OF MORMON on Broadway and on tour, visit www.bookofmormonbroadway.com. 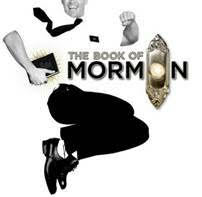 « THE BOOK OF MORMON Extends To September 8th.